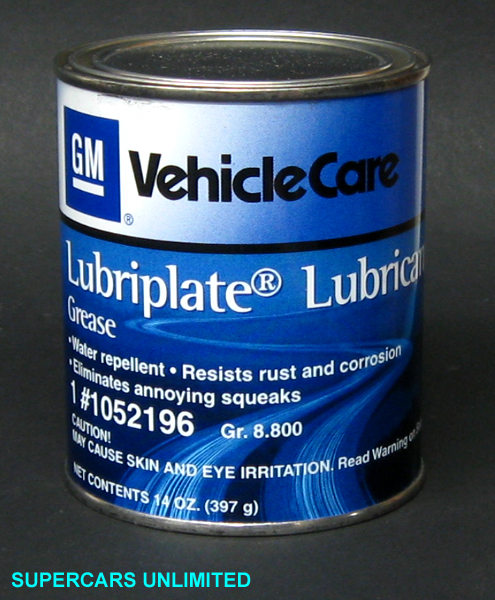 Lubriplate® was the original factory lubricant for hood and trunk latches, door hinges, power seat tracks, convertible top mechanisms, etc., etc. The whitish color provides the original appearance. Lubriplate® is a medium density grease type lubricant which has a high level of water resistance, will not dry up and resists temperatures up to 265°. 60-006 7.99 No longer Available.